There are 4 artists by the name of "Miasma". 1) A cult death metal band from Austria, founded in 1990. The band only released one album, and subsequently, one EP. 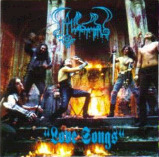 Changes was remastered and re-released by Napalm Records in 2001 packaged with the Love Songs EP. Together with Disharmonic Orchestra, Pungent Stench, Asphyx, the middle-european got to know, a new breeze of Death Metal, that was a kind of uniqe on the german-speaking territories. Inspired by bands like Napalm Death, Entombed, Celtic Frost, Death, etc. 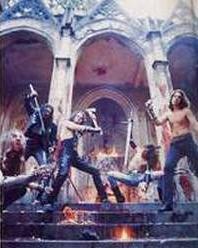 they ought to create a very proper sound, that convinced many heavy metal fans from the start. 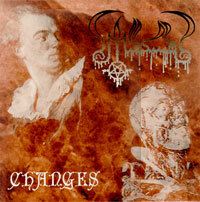 After many differences between band members in the past and other proper personal reasons, Miasma finally split at the beginning of the new milennium. 2006 the band reunited again in Vienna, working on a new album, that is set to be released at the end of 2007. New members have joined the band, namely Michael Fischer (Bass) and Johnny Patrascu (Guitar). 2) Four Piece Prog/Death Metal Band formed in Milwaukee, Wisconsin in 2000. Over the last five years Miasma has performed at various midwestern venues and metal fests appearing with such bands as Immolation, Incantation, GoatWhore, Monstrosity, Amon Amarth, Anathema, Cradle of Filth, and Nile, among others. The band best describes their sound as a mixture of melodic guitar, double bass driven rhythms, and a combination of harsh and clean vocals;generally leading to longer song formats. The current demo was recorded at Studio One under the direction of Chris Djuricic(jungle Rot, November's Doom) and Aaron Brigman. 3) "Miasma" are Will Joss and Tom Smyth, signed to the now collapsed "Em:t Records". The label was very famous for its experimental/ambient releases from 1994 to 1998. They produced a full length album (em:t 1195) in 1995, as well as contributed to several of the famous Em:t compilation disks. 4) An One-man-Black-Metal-Projact from Ladysmith, British Columbia, Canada. He releases 2 full-lenghted albums so far "of the blood" and "spirit death".